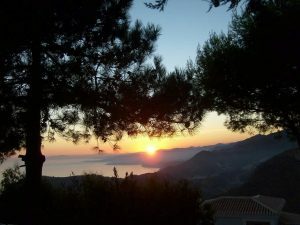 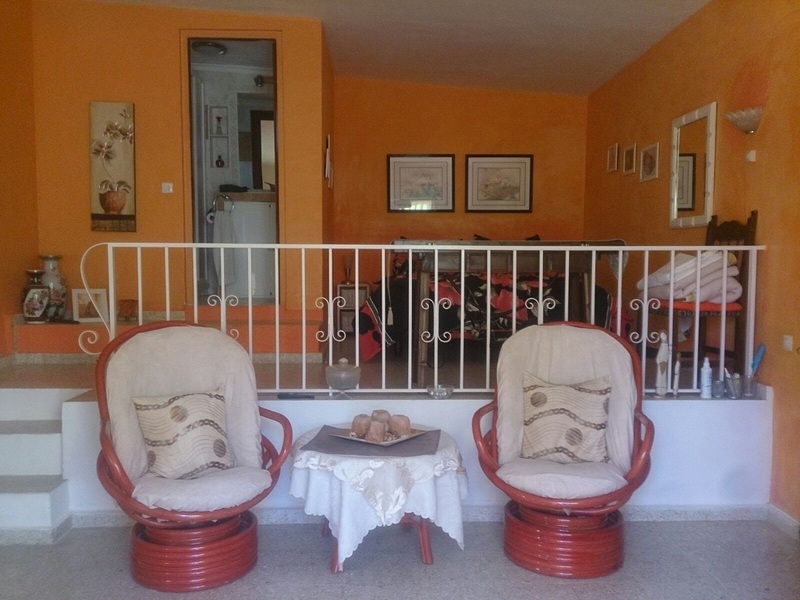 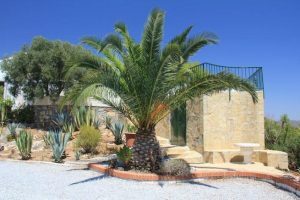 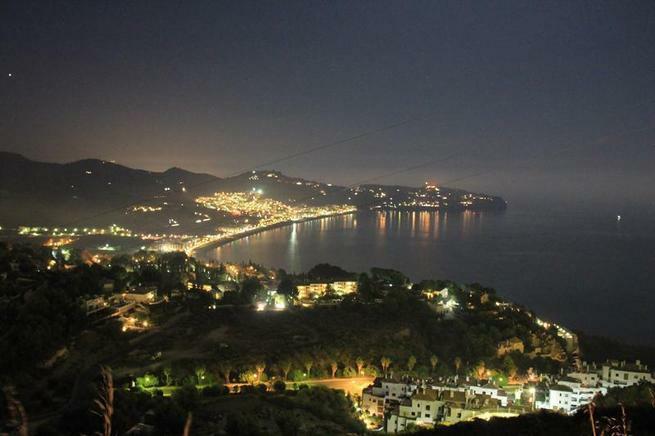 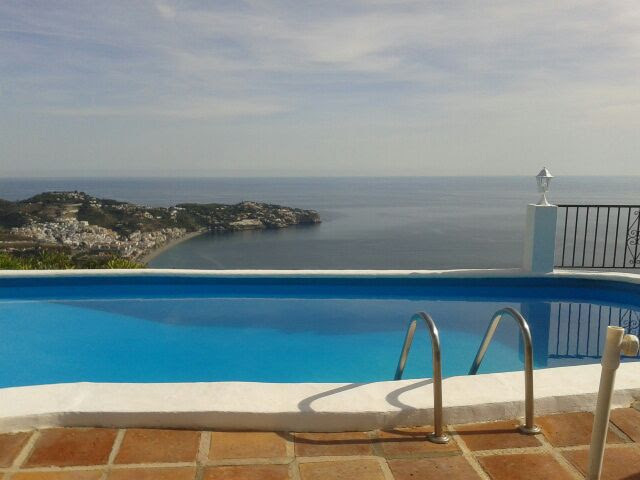 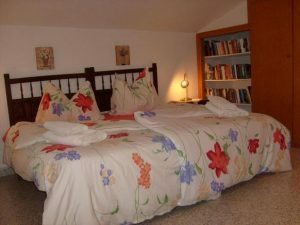 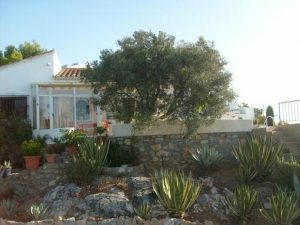 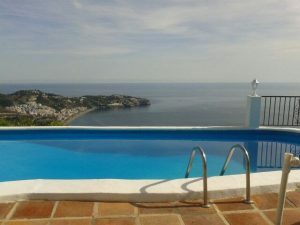 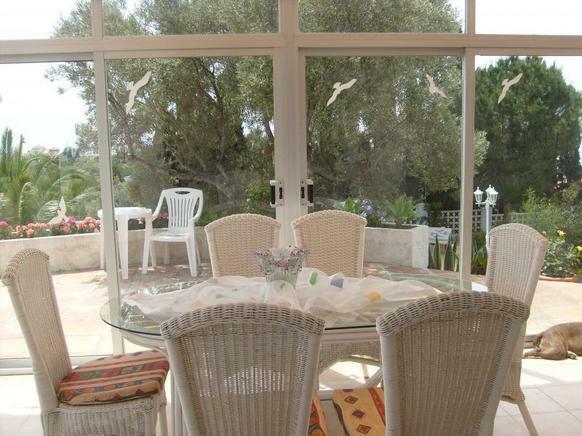 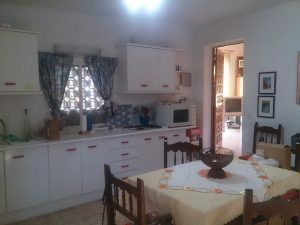 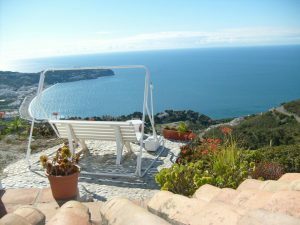 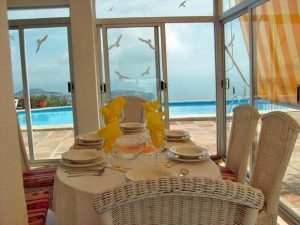 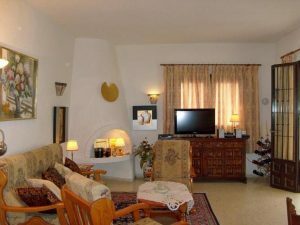 House with huge potential in Nogal overlooking the bay of La Herradura with breathtaking views. 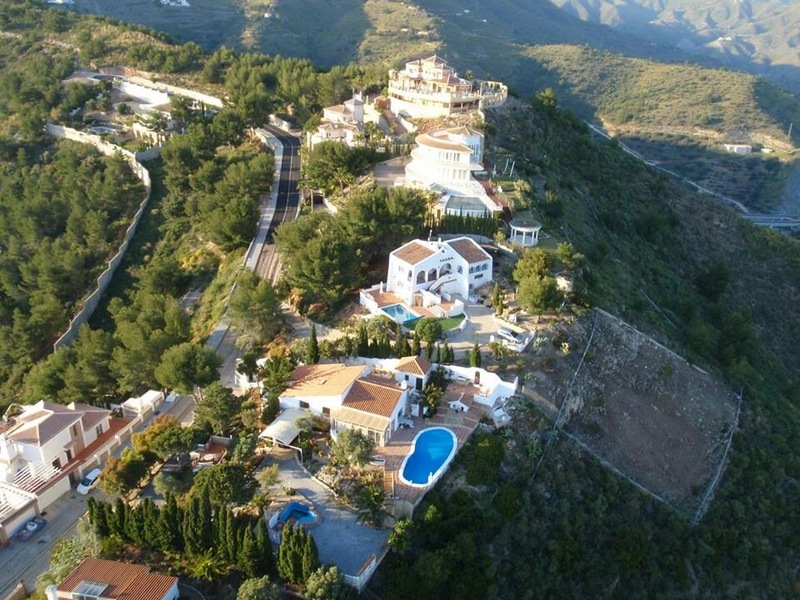 This house, ideally located, on a magnificent plot of 1200m2, offers spectacular views both on La Herradura and Nerja. Perched on the crest of a hill, this house allows you to enjoy the Andalusian sun from morning till night. 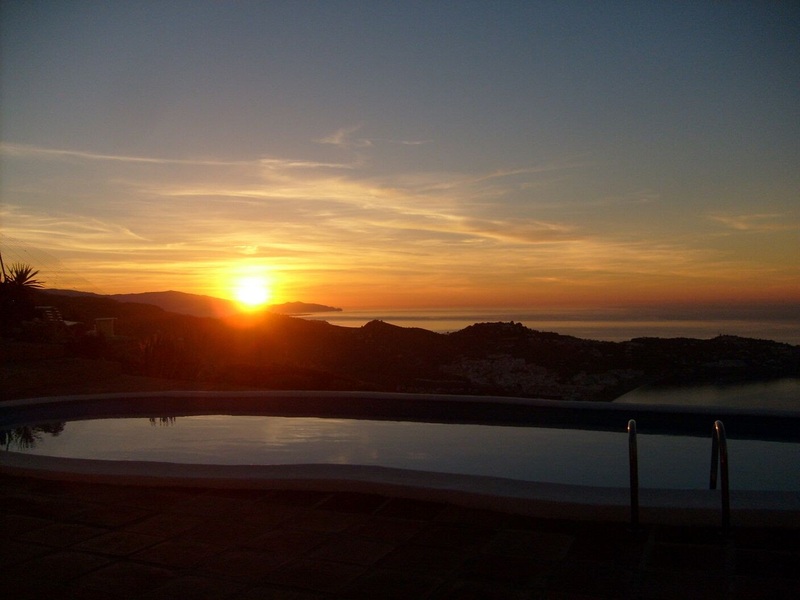 You will witness magnificent sunrises from the east-facing terrace, but also beautiful sunsets from another small terrace facing west. 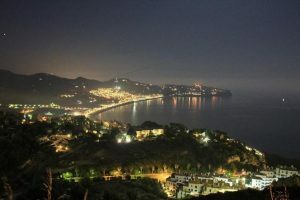 Simply a magical place! 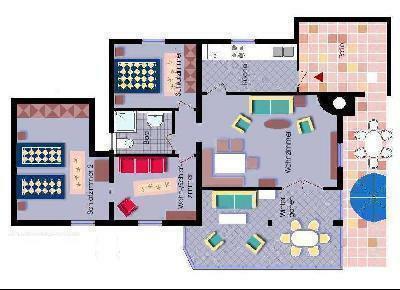 On the lower floor, there is an apartment composed of a bedroom, a bathroom and a kitchen. 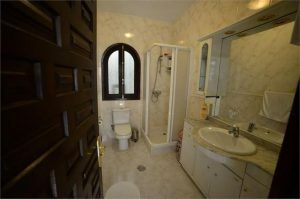 This apartment has its own entrance but could easily be integrated into the main house given the existence of a staircase currently condemned. 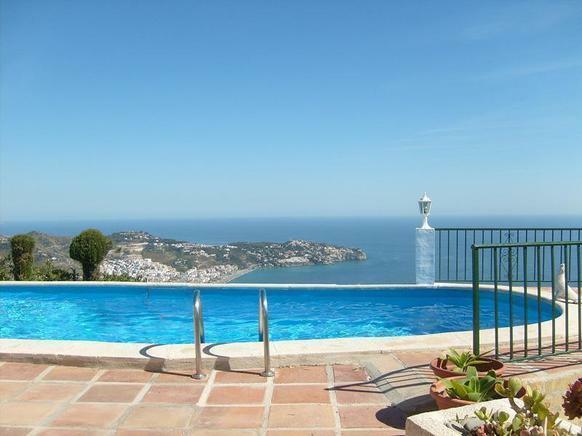 The swimming pool benefits from an exceptional sunshine and it’s an exceptional place to relax while admiring the beautiful bay of the Herradura. The house would certainly benefit from being refreshed. Moreover, the coefficient of land would also allow an expansion : multiple possibilities and a real potential in an unique location. 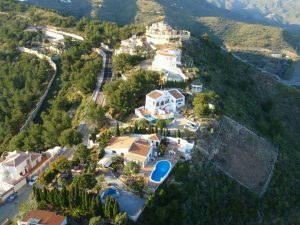 Do not hesitate to contact us if you need more information about this property in El Nogal, La Herradura.